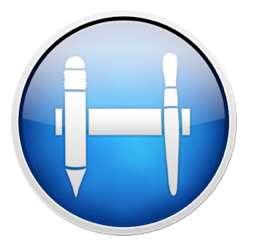 The HackStore is the epitome of Cydia for iOS, but on a Mac OS. It allows you to easily install and update Applications that are not allowed in the regular Appstore. The developers, a russian team, claim to not allow piracy apps "forever and ever". So far there are only free applications available and no information about future payment methods. 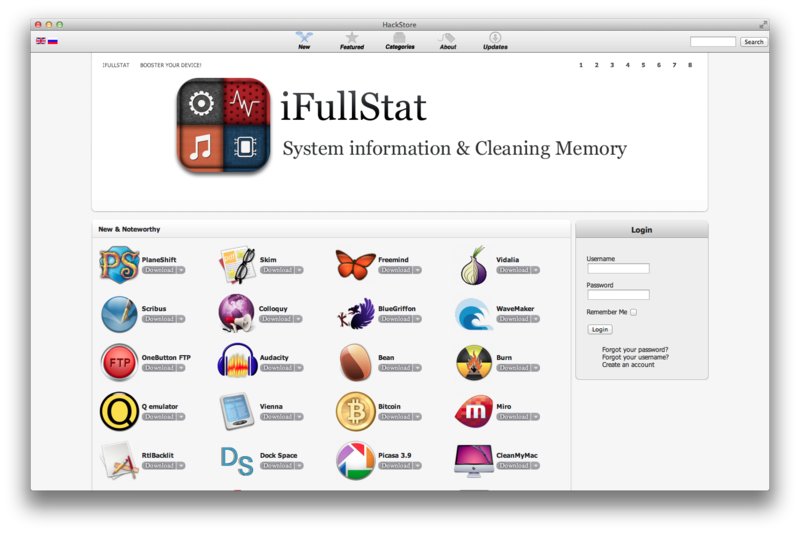 The interface is very similiar to the regular App-Store though currently very unresponsive. 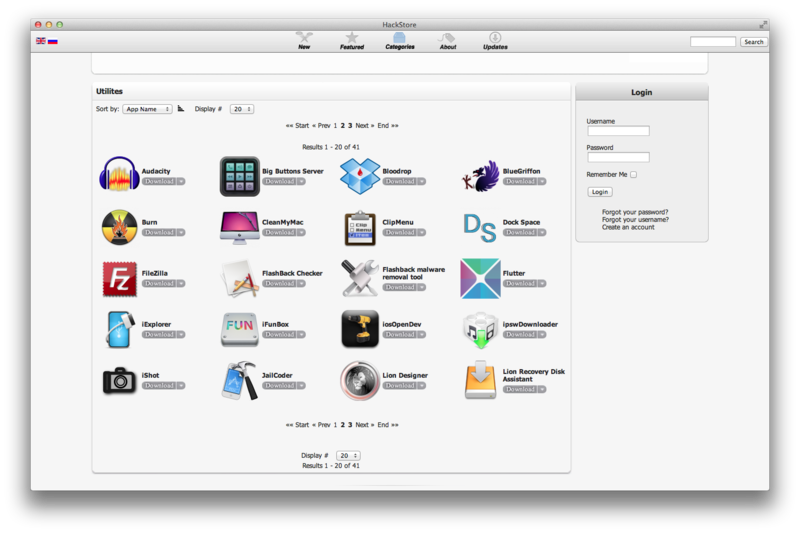 The software library has only a few titles so far and includes some that are available on the regular App-Store as well. 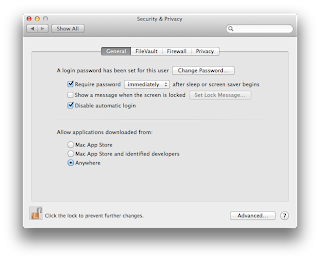 To use the HackStore with Mountain Lion you have to disable the Gatekeeper security feature since the application is not signed by any official developer. Ah, that's the thing I've been waiting for. I really do get annoyed by Apple's policy and such on App Stores and whatnot, so I'll be using this one a lot!